commentary – Feed The Ears!! I haven’t always been a fan of Sheryl Crow. I’m going to date myself here but when Tuesday Night Music Club dropped, I wasn’t particularly fond of “Leaving Las Vegas.” It was slow sounding, and back then I was still a rap and hip hop head listening to WuTang Clan, Biggie, with the few rock bands that snuck into my tape (yes I was around for tapes) collection – Red Hot Chili Peppers, R.E.M, The Black Crowes, etc. These were all artists that kept me awake, alert, and entertained. And I wasn’t thrilled with Sheryl’s voice overall. The, like most teens my age, “All I Wanna Do” dropped, and I instantly changed my tune towards her. It was fast, funny, and had a great melody. Pretty much pop rock gold, which turned into platinum for her. Followed by “Can’t Cry Anymore” and I was pretty much hooked. Then her second album, “Sheryl Crow,” finally arrived. I remember vividly ordering the tape from our campus store (which stopped selling cassettes and instead sold cds for EVERY artist) and once it arrived, I was completely blown away with it. She produced it, which back then and now for that matter – for a woman to produce her own music – pretty much unheard of unfortunately. While Bill Botrell was behind the debut album production, this one was Sheryl. Plus 1. It was filled with just absolute greatness. I can’t say back in 1996 offhand that every cassette I owned was great from beginning to end, but THIS album my dear friends was. Every song to me, was a potential single, and every song had a message, hiding behind the pop rock and the quirky sound effects. The melodies worked extremely well with her voice and the lyrics were simple yet effective. And let’s face it on a “A Change Would Do You Good,” there were hand claps. I’m a fan of the hand claps. More songs need hand claps. That was a no brainer hit. “If It Makes You Happy” to this day makes me laugh – not in a mean way, but the chorus kills me. “If It makes you happy, it can’t be that bad. If It makes you happy then why the hell are you so sad?” Why does it kill me? Because this chorus reigns true to life to this day, 21 years later. Things that make people happy should make us happy, not sad. If it makes us sad, then we shouldn’t continue to do things that make us sad. It’s just that simple. Plus 2. I also love the fact that while she sings the chorus, it comes completely across as shouting to me – as if she was trying to drive the idea home. I hear ya Sheryl. I hear ya. Even my mom thought this was a hit and she doesn’t like anyone. Another favorite of mine, “Sweet Rosalyn,” is about a woman who keeps her head above water, working just enough to get by but she needs something to keep her going, to continue the fight, to keep her moving forward as they say. My favorite line is “Well, maybe we all could use a little grace to know when to run and when to stay in one place.” It’s not a long song lyrically, but it still makes an impact with the instrumentation. Between the slide, the dobro, and twangy guitars, I was pretty much sold on this one. Sheryl throws down on this one y’all. Check out this video of it. I will always support Sheryl because I remember her fighting with Walmart in regards to the song, “Love is a Good Thing.” For those who don’t know, there’s a lyric about kids who use guns they purchased at Walmart. At that time, it was very true. And Walmart didn’t take too kindly to her statement (despite the stories hitting the news revealing where the guns came from) and removed her album from the stores. She stood firm though, and she didn’t give in. That to me, was completely awesome. And fierce. You rule Sheryl. She wanted it to be known that we need to do something about gun control. She sings it so nonchalantly but in doing so, made a big statement. Plus 3. The opener, “Maybe Angels” is the song that kicked off my love for this album…the piano in particular. It just sounds so weird with the guitar riff that it fits. So weird. But it fits. And the subject matter about not being able to feel angels, but they are around. “I swear they’re out there, I swear…” It’s a mid tempo toe tapper (Say that FIVE times fast. I dare you. It’s ok. I’ll wait.” She finds angels to be mysterious, but she knows..she has a feeling…that the unexplained..can only be answered by angels. The rockers who have passed away, they’re coming back too. Ok, Sheryl. I believe you. I won’t go on and on, but this is truly a great album. From beginning to end, it entertains, and you hear something different with each listen. AND she broke the dreaded second album slump AND the “Best New Artist” curse that hits many after winning a Grammy. Thank you Sheryl for releasing a perfect pop gem. My ears thank you as well. As promised I made my last poddy a mix of just some of my favorite songs of the year. Better listen and download before it’s too late. Enjoy and I shall return next year. Raise the Flag – BROOKZILL! New Year, New Music… 3 Months Late. Sorry I’m very late with this. Still battling the demons. And losing more than winning. But I give to you another show full of new music. So I hope you listen with open ears and an open heart. From rock to dance, there’s something for everyone. And that’s the great thing about music. Sit back, open a few beers, or whatever floats your battleship, and have fun. 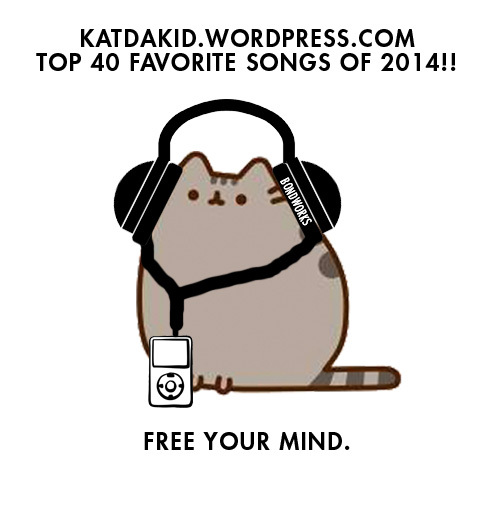 My Favorite Top 40 Songs of 2014. And here as promised, are my favorite songs of the year. They were upbeat, and catchy and in some cases, throwaway but still enough to garner my attention for over a minute. It’s all over the map. Some will agree. Some will disagree. I admit, there isn’t a lot of rap on this list. I just don’t listen to as much rap as I used to because the beats sound the same now. It’s really sad. But a few made the list that I really really loved. So, enjoy reading my earbudders. 34. Can’t Do Without You -Caribou. Long intro that’s repetitive, BUT once 1:30 kicks in, it’s all good. 27. Black Rage – Lauryn Hill. Yes, she did make a single. Yes. I wish she’d make an album. 26. Röyksopp and Robyn – Do it Again. God I love Robyn. That is all. 25. Transgender Dysphoria Blues – Against Me! 21. Bury our Friends – Sleater-Kinney Thank Buddha they’re back. And they’re good. 7. Head Underwater – Jenny Lewis. For the 30 something females like myself, a MUST listen. 6. Two Weeks – FKA Twigs. Beautiful Music Video. 3. Want it All – Tender Games. Seriously. This album was pretty great. 2. Beyonce’ (Feat. Jay-Z) – Drunk N’ Love – You. Just. Couldn’t. Escape. This. Song. “Don’t believe me just watch.” Hands down one of the funkiest tracks I’ve ever heard. Of course those two should give The Time and Morris Day a shout out for biting their style, but I loved this from the first time I heard it and it was my go to song to make me smile this year. 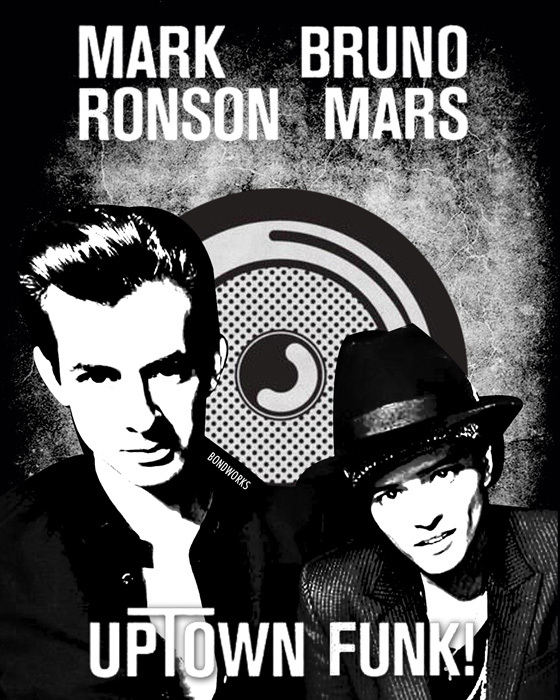 I can’t wait for Mark’s album. See you all next year. Thanks for reading.